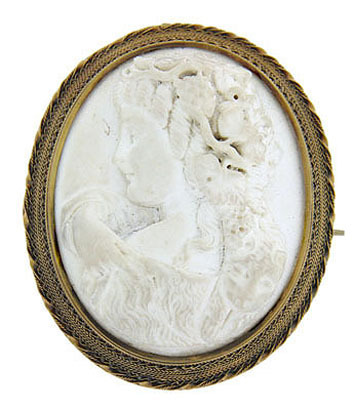 This magnificent high relief white coral antique cameo has a profile of a lady holding what appears to be a lamb. The curls in her hair are carved in great detail. The mounting is also intricate and meticulously detailed. This cameo was featured in Victoria Magazine, Volume Six: Number Eleven in November, 1992 on page 79. 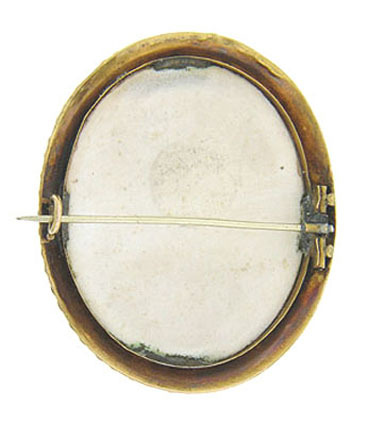 It measures 2” tall, 1.7” wide and .5” deep. Circa: 1860.